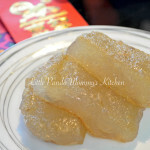 This entry was posted in Chinese Food, Chinese Recipes 中文食譜, Cooking 小煮意, Dessert, Dessert 甜品, Easy Cooking, Easy Cooking 簡易煮意, Hong Kong Style Recipes and tagged 新年，賀年食品，馬蹄糕，冰糖，食譜，中式甜品，傳統食物 on February 3, 2016 by littlepandamommy. 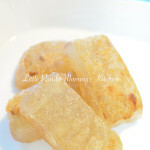 This entry was posted in Asian Recipes, Chinese Food, Chinese Recipes 中文食譜, Cooking 小煮意, Dessert 甜品, Easy Cooking 簡易煮意, Healthy Eat 健康煮意, Hong Kong Style Recipes, Le Creuset Recipes LC食譜 on January 26, 2016 by littlepandamommy. 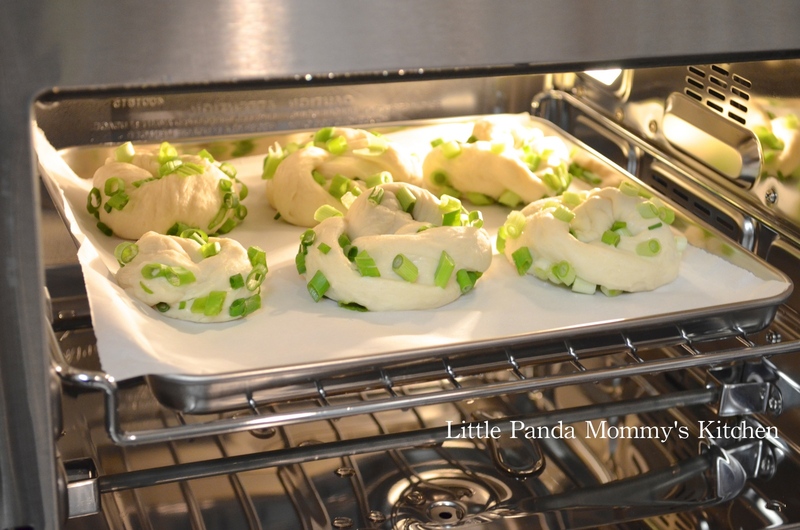 This entry was posted in Asian Recipes, Breakfast choice, Chinese Food, Cuisinart CSO-300 Steam Oven Recipes, Easy Cooking, Healthy Eat, Hong Kong Style Recipes on May 20, 2014 by littlepandamommy. One of my favorite street food in Hong Kong is egg waffles (you may called it bubble waffle). They are tiny ball-shaped waffles, fluffy inside but crispy on the outside, you pull them apart and eat them one by one, yummy. I used to buy them everyday after school for snack, the hawker made them fresh to order, so I got to watch and learn how to make it and observed the flipping technique. 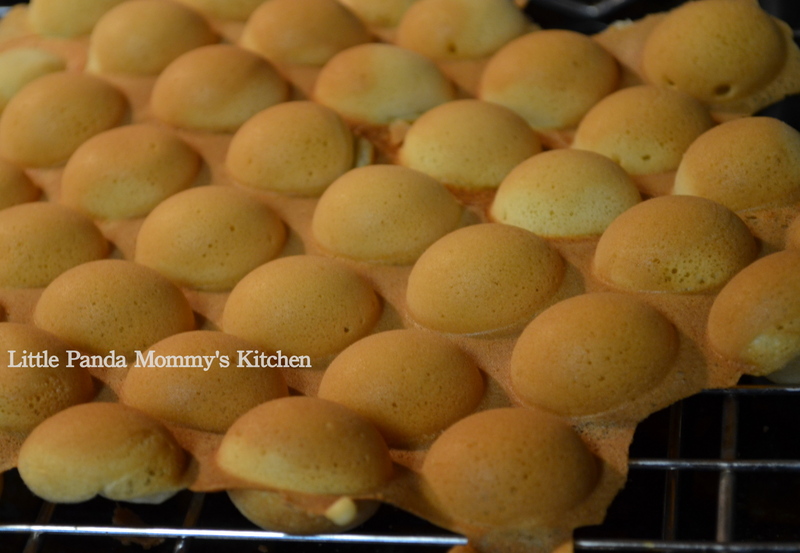 I am so glad to find the Egg Waffle Pan (buy it here) in the USA finally, making this yummy street food at home, serving my girls my favorite treat. The best part , I got to see their happy faces when they stuffed their mouth full of little waffles. They enjoyed watching mommy make the cute yummy waffle balls, just like I used to watch the hawker cooked them in the street, like mother like daughters. They learned stories about mommy’s school life in Hong Kong, and how to say egg waffles in Cantonese (雞蛋仔，which pronounces “kite down jei “), it was so much fun. 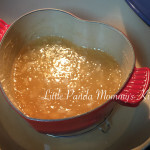 This entry was posted in Asian Recipes, Easy Cooking, Hong Kong Style Recipes, Snack Recipes and tagged Asian recipes, bubble waffles recipe, Easy Cooking, Hong Kong Style Egg Waffles Recipe, Hong Kong Style Recipes, Snack Recipes on January 23, 2014 by littlepandamommy. Steamed sweet sesame bun is my favorite bun in Dim Sum restaurant since my dad introduced it to me when I was young. It is so sweet and flavorful in one little cute bun. I hadn’t been able to locate them anywhere nearby in USA (restaurants or frozen products). So I tried to create it with the memory of my taste buds, it turned out really good. 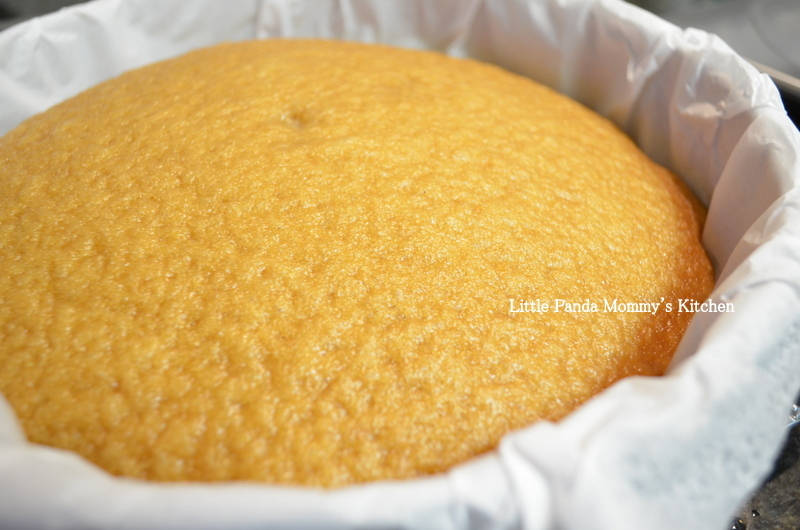 When I had it back in Hong Kong, the sweet sesame filling was lava-like and really smooth. 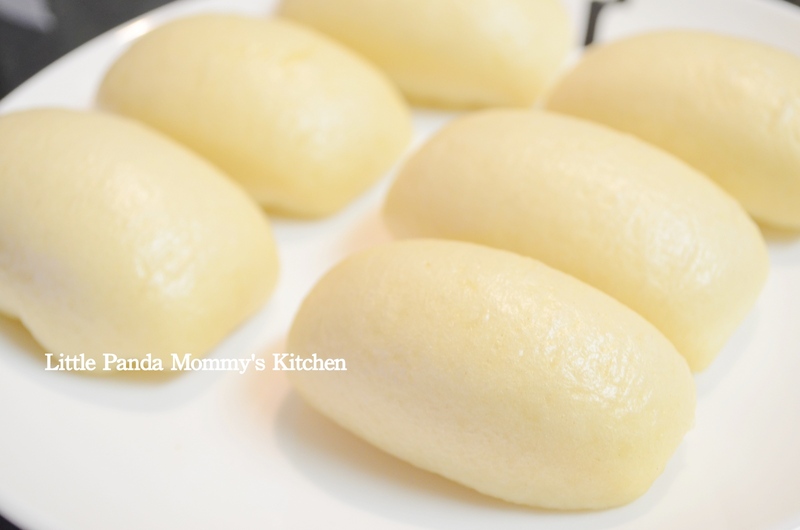 This recipe makes a crumbly filling (I like the texture) instead of creamy and lava-like filling. If you like a smooth texture, follow the tips below the recipe. 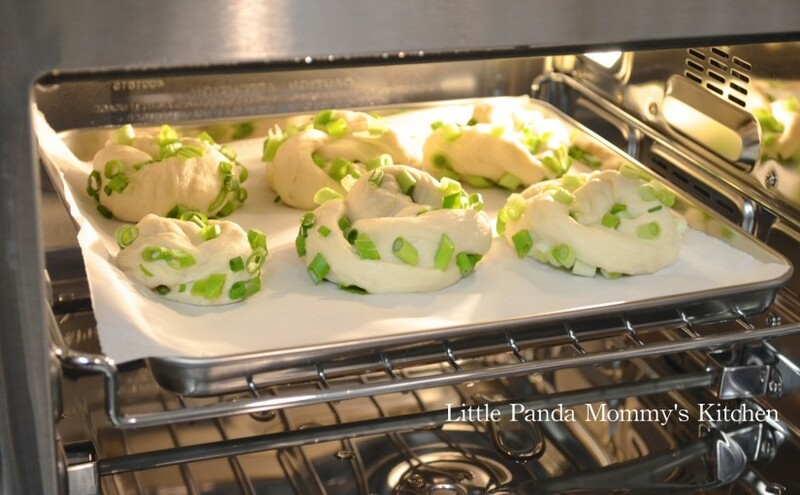 This entry was posted in Asian Recipes, Breakfast choice, Chinese Food, Cuisinart CSO-300 Steam Oven Recipes, Hong Kong Style Recipes and tagged Asian recipes, Breakfast choice, Chinese food, Cuisinart CSO-300 Steam Oven Recipes, Hong Kong Style Recipes, Steamed Chinese Sweet Sesame Buns Recipe on January 19, 2014 by littlepandamommy. This entry was posted in Asian Recipes, Breakfast choice, Chinese Food, Cuisinart CSO-300 Steam Oven Recipes, Easy Cooking, Healthy Eat, Hong Kong Style Recipes and tagged Asian recipes, Breakfast choice, Chinese food, Cuisinart CSO-300 Steam Oven Recipes, Easy Cooking, Healthy Eat, Hong Kong Style Recipes, Steamed Chinese Biscuits Recipe on January 17, 2014 by littlepandamommy. This entry was posted in Asian Recipes, Chinese Food, Cuisinart CSO-300 Steam Oven Recipes, Healthy Eat, Hong Kong Style Recipes and tagged Asian recipes, Chinese Food Recipes, Chinese Recipes, Chinese Steam Green Onion Buns Recipe, Cuisinart CSO-300 Steam Oven Recipes, Easy Cooking, Healthy Eat, Hong Kong Style Recipes on January 10, 2014 by littlepandamommy. Hong Kong is a food heaven with countless delicious food, from street food to Michelin starred restaurants, you can pretty much taste the world in this little city. One of my favorite street food, some times serve in restaurants (dim sum or congee restaurants), is rice noodles loaded with sweet soy sauce, peanut sauce and hoisin sauce (the original “sweet sauce” is not available in US), sprinkles with some toasted sesame, the most traditional way to serve it. If you like it spicy, add a few drop of Sriracha wouldn’t hurt. This entry was posted in Breakfast choice, Easy Cooking, Hong Kong Style Recipes, Le Creuset Recipe, Snack Recipes and tagged Breakfast choice, Cooking, Easy Cooking, Hong Kong Street Food, Hong Kong Style Recipes, My Kitchen, Rice Noodles Recipe, Snack Recipes on October 16, 2013 by littlepandamommy. Ketchup shrimps is one of the most popular homemade dishes in Hong Kong. 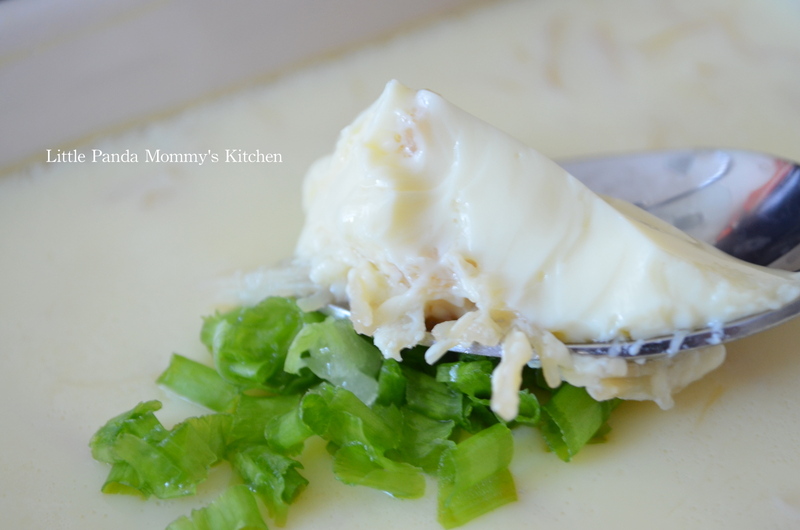 My mom used to cook this all the time and it would be gone long before any other dishes. It tastes better if you cook it with the shell on. You have to lick the sauce off the shell first, then peel the shell and eat the shrimp, don’t forget to lick your finger tips at the end. The thought of it make me so hungry. 1. Headed and deveined the shrimps, rinse and drain well, set aside. 2. In a skillet, heat up the olive oil on medium. Add ketchup, rice vinegar and sugar, cook for 1 minute (beware of the oil splash). Then, stir in the garlic and mix well. 3. Cook until sauce is thicken. Add shrimps and cover each shrimp with sauce. 4. Spread the shrimps in a single layer, cook for 2 minutes. 5. Flip and cook for 1 minute, heat off immediately. 6. Sprinkle with green onion for garnish, serve and enjoy. This entry was posted in Asian Recipes, Cast Iron Recipe, cook in 15 minutes 15分鐘開餐, Easy Cooking, Healthy Eat, Hong Kong Style Recipes, Le Creuset Recipe and tagged Asian recipes, Cast Iron Recipe cook in 15 minutes, Easy Cooking, Healthy Eat, Hong Kong Style Recipes, Ketchup Shrimps Recipe, Le Creuset Recipes on March 2, 2013 by littlepandamommy.